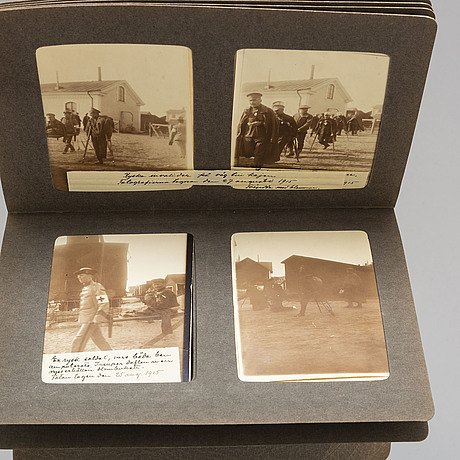 MIA GREEN, photographs from WWI Haparanda in two albums stamped and dated 1915. 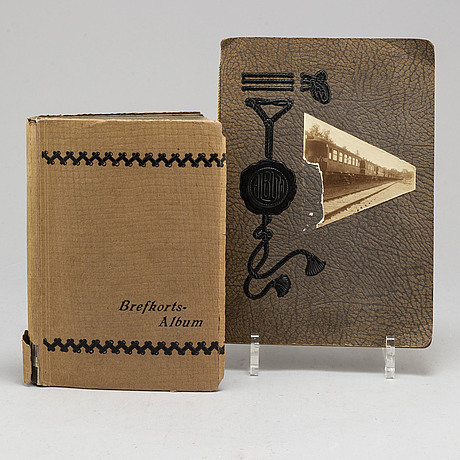 Two albums with pages and covers in cardboard. 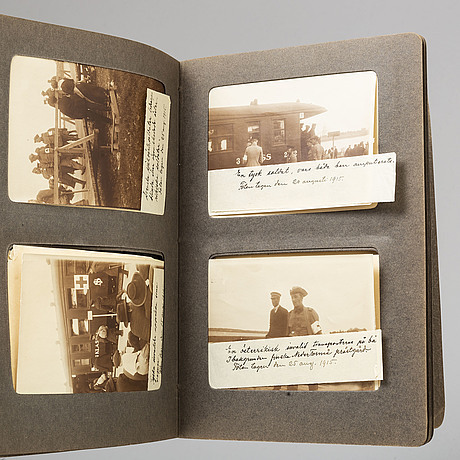 Photo album with pictures taken by Mia Green mounted together with hand written notes describing the photographed motifs and events – Haparanda in August 1915 when injured German and Russian soldiers from WWI was taken care of in Haparanda. 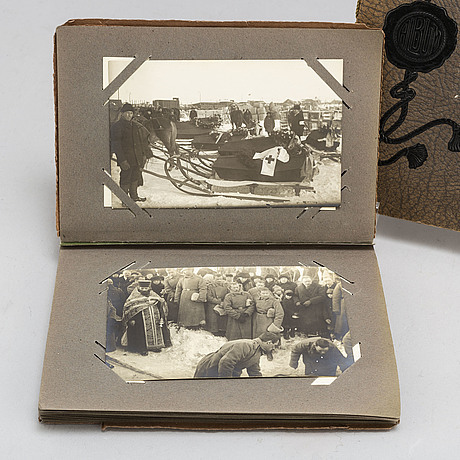 Album 23 x 16.3 cm. 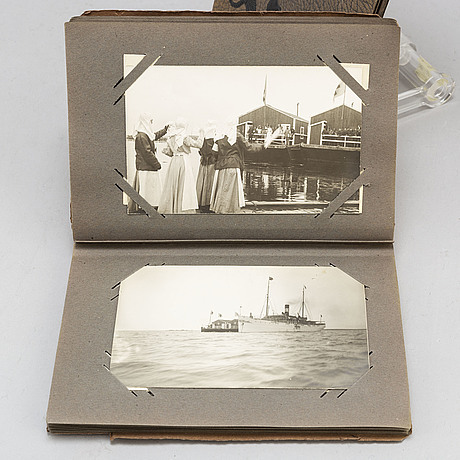 Images 11 x 8 cm. 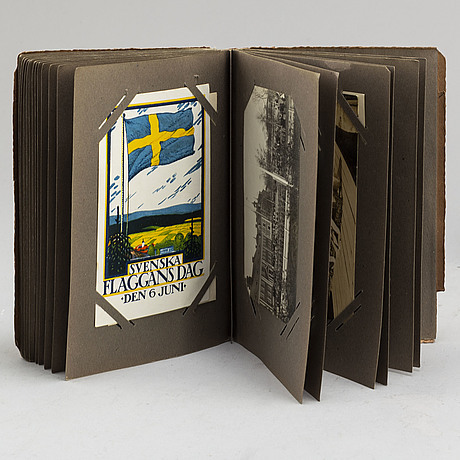 Postcard album with photographic postcards depicturing Haparanda and Tornedalen during WWI. 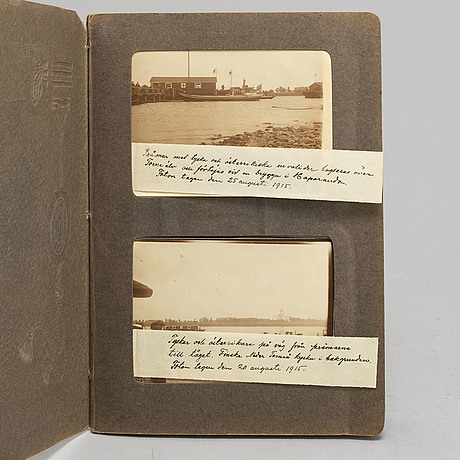 Most cards stamped Mia Green Fotoatelier on verso. 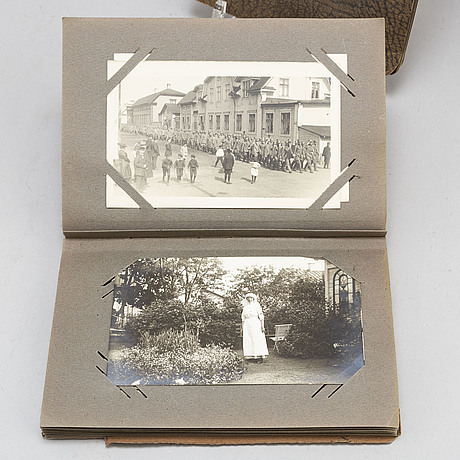 Album 19.5 x 14.5 cm. Images 9 x 14 cm. Wear due to age and use. Damages. Damaged edges. Soft corners. Faded. The general impression is good.